Brow styling has never been easier thanks to Benefit’s Brow Kits collection, a line-up of precision kits that make shaping, defining and filling in your brows child’s play. 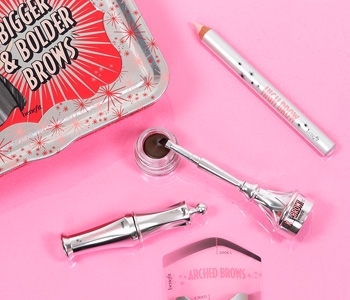 Because Benefit knows brows; they have created kits with everything you’ll need to sculpt your perfect brow, whether your style is soft and natural or full and bold. Made for professionals and beginners, Benefit’s Brow Kits are built around Benefit’s most iconic brow products.